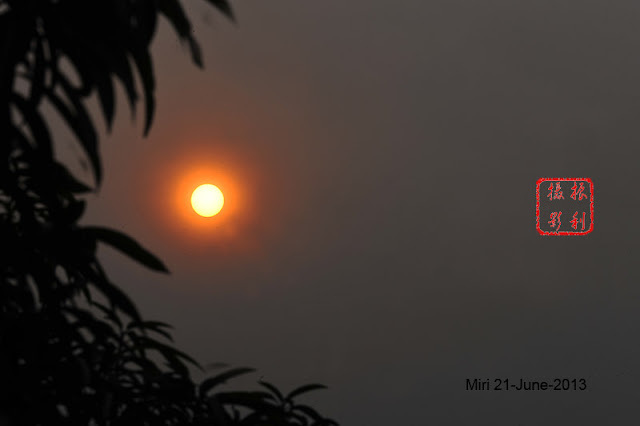 The burning in Indonesia seems to be affecting Miri now. We noticed high altitude haze since two days ago. I just hope that this haze will not descend to low level or we will be choked once again. This photo was taken this morning and it is clear that even the sun has lost it glorious ray! the same occurrence every year..
good, make me feel like heaven at least once. The haze has gone away... Singapore is having ice rain! wenn, true. We just wait for June ever year!